Consecutive vs. Simultaneous Translation: which is a better fit for your needs? - Bravo Studios - Soluções linguísticas de tradução. Consecutive vs. Simultaneous Translation: which is a better fit for your needs? Globalization has shortened the distances between countries, helping bridge cultural, social, political and economic gaps. This has led to an increase in market integration and, consequently, in the information exchange between professionals who speak different languages. This helps explain why the hiring of interpreters for meetings, conferences, lectures and corporate events has become an increasingly common practice, aimed at providing more effective communication. Do you have any questions concerning the best translation choices for your event? Below you’ll find an explanation which might help you choose from the different options available. Also known as consecutive interpreting. The speaker talks for a short period and then pauses to allow the interpreter to provide their translation for the listeners, based on their notes on what was said. This format is more precise with regards to the information, but also more time-consuming, which makes it more suitable for smaller-scale events, such as meetings. Or interpretation for conferences. As the speaker talks, the interpreter translates the content in real time. In other words, communication is established between all parties in seamless fashion with the help of audio equipment. This format allows the speaker or lecturer to express himself more naturally, with no interruptions. It is more suitable for medium- to large-scale events which can accommodate the necessary investment in technical infrastructure. 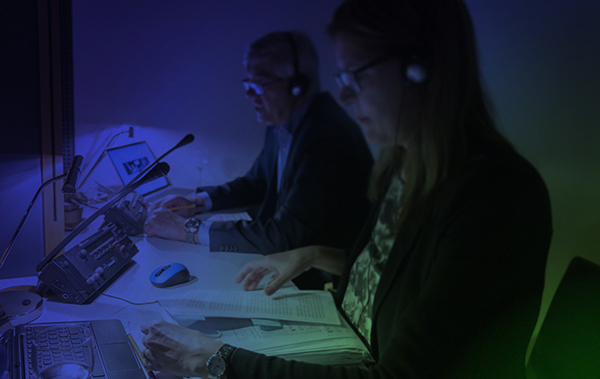 Bravo boasts experienced, qualified professionals and all the equipment necessary to offer the most suitable interpreting services for your event.